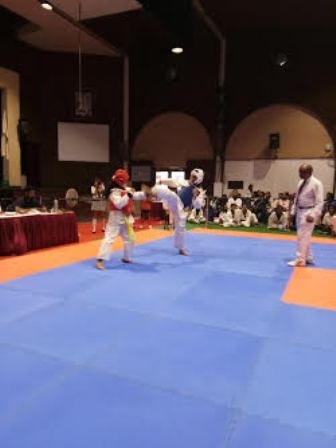 “We may encounter many defeats, but we must not be defeated” …with this thought in mind TSVS girls embarked on their journey to Vidya Devi Jindal School, Hisar, who hosted the All India IPSC Girls Taekwondo Tournament from 9th -12th September 2018. This magnanimous event witnessed participation of over 100 students representing 8 renowned schools of the country. 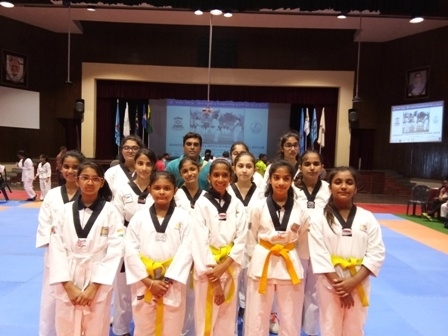 The girls won 8 medals in total at the competition. 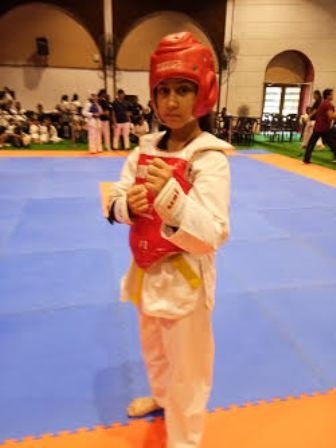 Mritika Mitra won a Silver medal and Aashita Bhimte, Araina Samal, Navya Vaswani, Mahibah Rahman, Riddhi Dawar, Zoya Warsi, Avni Arora won a Bronze medal each. Pranaya Singla, Nitya Manglani, Gitansha Chadha, Alishba Khan, Aanya Jain were awarded Participation Certificates. The school management and the Sports Department congratulate the students on their splendid performance.